The Join operator combines the items emitted by two Observables, and selects which items to combine based on duration-windows that you define on a per-item basis. You implement these windows as Observables whose lifespans begin with each item emitted by either Observable. When such a window-defining Observable either emits an item or completes, the window for the item it is associated with closes. So long as an item’s window is open, it will combine with any item emitted by the other Observable. You define the function by which the items combine. 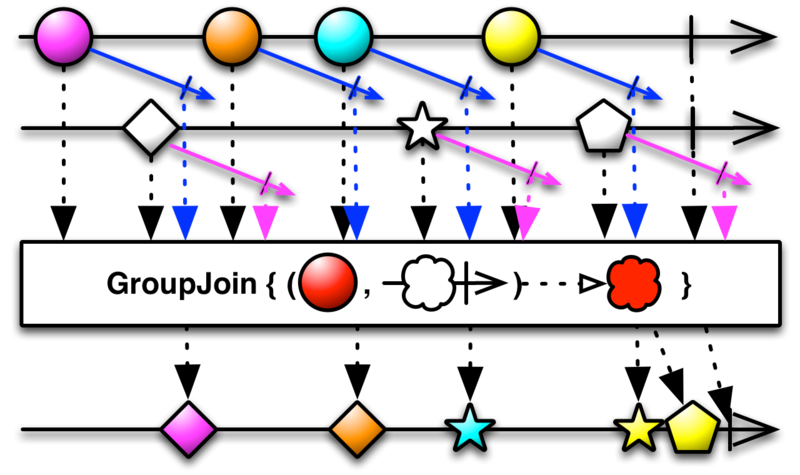 Most ReactiveX implementations that have a Join operator also have a GroupJoin operator that is similar, except that the function you define to combine items emitted by the two Observables pairs individual items emitted by the source Observable not with an item from the second Observable, but with an Observable that emits items from the second Observable that fall in the same window. join does not by default operate on any particular Scheduler. groupJoin does not by default operate on any particular Scheduler. 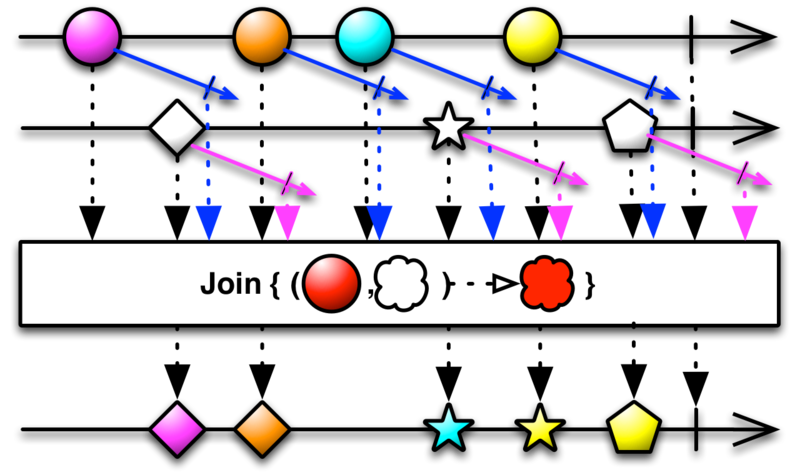 Note that there is also a join operator in the optional StringObservable class. It converts an Observable that emits a sequence of strings into an Observable that emits a single string that concatenates them all, separating them by a specified string delimiter.